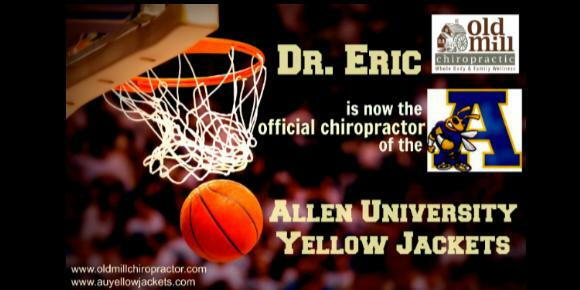 Did you know that Dr. Eric is the official chiropractor of the Allen University Yellow Jackets? Athletes know that performance is enhanced and injuries are reduced through regular chiropractic care. We are excited to help the AU Yellow Jackets perform their best.